I’ve completed the modern Greek app for the AppStore and submitted it for review. This now includes a few tools to improve my development process and I’ll be looking into Arabic scripts next. I started studying Arabic quite a while ago and found it quite difficult due to the nature of isolate and linked letters. I’m going take a little time to consider how that can be taught best. This might be a good place to review the overall layout and steps of the lessons to consider how this type of learning requires specific methods. I’ve also been asked to look into Apps for the Android platform – which requires a different set of development tools and a different visual ‘language’. I’m looking forward to it. Each reiteration results in better tools and overall design and function. I hope to create something that is more intuitive and aligned with the user interface expectations of that specific platform. However, learning new tools and the specific interface will mean that I’ll spend a little less time actually on the language apps themselves. It might be a few weeks before I publish an update. 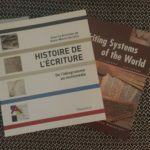 With regards to language learning – I’ve received two new books of interest. Writing Systems of the World by Akira Nakanishi is a short catalog of 29 commonly used scripts from around the world and has examples of many more. It is presented, surprisingly as a useful tool for … stamp collectors! Personally, I plan to use it as another reference tool in my research around writing systems. The second book, Histoire de l’Ecriture – De l’idéogramme au multimédia by Anne Marie Christin (editor) is a beautiful, coffee-table book size, collection of articles and images on the history of writing. 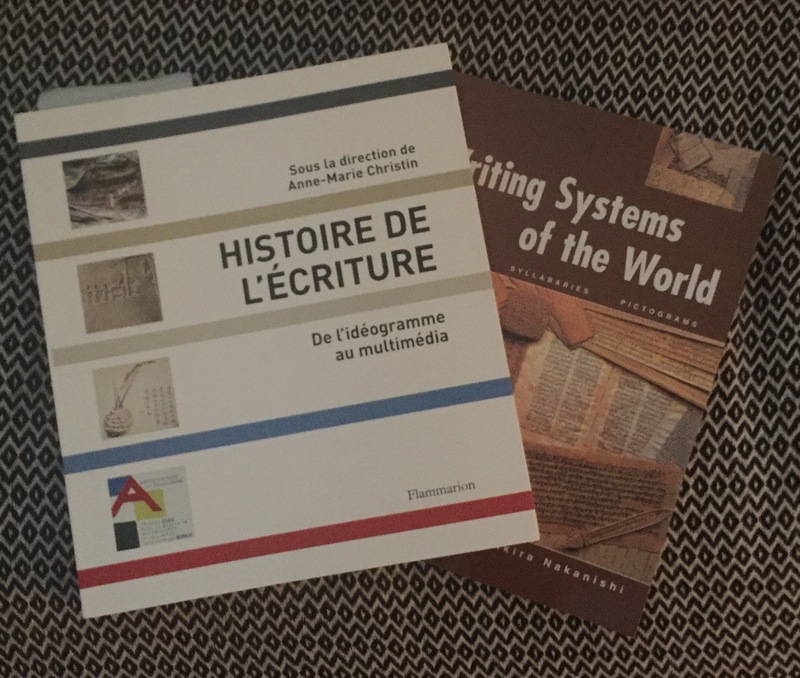 It’s in French and covers in three sectinos early writing systems, impact on language and culture; alphabets, their history and distribution; ‘western’ alphabet reintegrates imagery in its successive incarnations – from manuscript to print. Definitely an book I intend to dive into deeply.